All main characters should have names that are puns. At the very beginning of Page by Paige, Paige Turner (her parents are writers) buys a sketchbook. She’s just moved from rural Virginia to Brooklyn and she’s feeling lonely and unmoored. But she’s always loved to draw, so she sets about following the rules her painter grandmother set herself a long time ago, starting with the first: “No more excuses! Buy a sketchbook and draw a few pages each week.” Maybe, Paige thinks, it will help. And help it does. 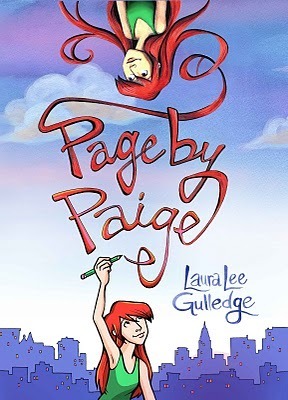 Over the course of her first semester at her new school, Paige, quiet and reserved on the outside, pours her loud, brilliant, and extraordinarily imaginative inner life onto the pages of her sketchbook, and eventually, it gives her the strength she needs to start sharing some of that inner life with the world. At its core, this book is your standard realistic young adult novel. It’s about friendships and first loves and figuring out who you are and who you want to become. Paige deals with all the inescapable teenage joys of endless frustration and insecurity and awkwardness, and watching her navigate it all is delightfully entertaining. 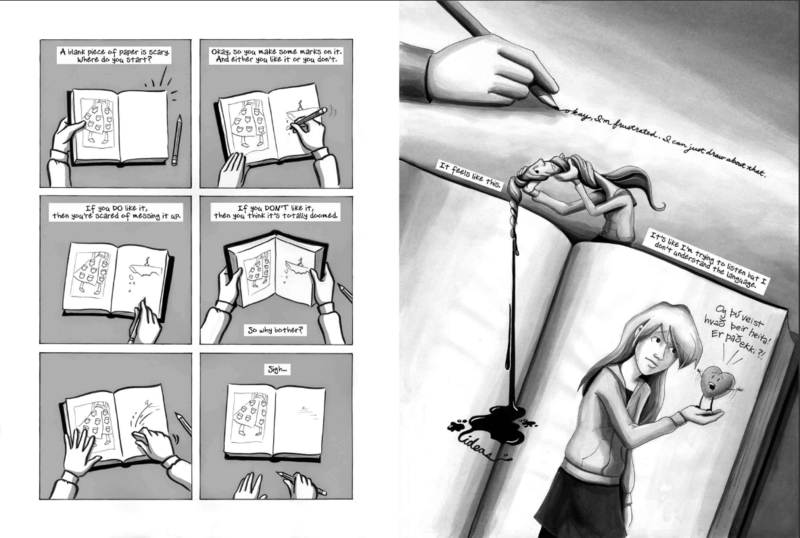 But Page by Paige sets itself apart with Laura Lee Gulledge’s gorgeous art and the brilliant way she waves the narrative of Paige’s story into the structure of Paige’s own drawings and inner monologue. It’s one of the best renditions I’ve seen of a young artist’s mind in progress. 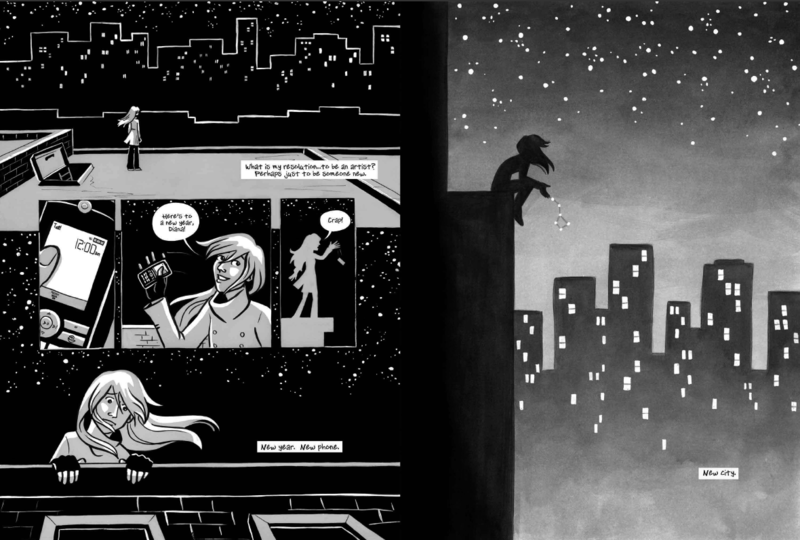 This entry was posted in March 2015 and tagged artists, comics, graphic lit, graphic novels, kidlit, kids graphic lit, laura lee gulledge, March 2015, moving, page by paige, sketchbook, teenagers, ya. Bookmark the permalink. ← Being different is hard, but it can also qualify you as a superhero.